So the time has come to organise your Christmas party! With so many venues, offering sumptuous feasts, cocktails aplenty and a space for you to rock the night away, it can be difficult to pick the best one for your festive needs. Here are 5 of the best around on the toon. Candyfloss for Christmas? St. James’ Park is rolling out a ‘Christmas Carnival’ throughout December. Boasting two plentiful packages within the stadium, guests can choose to be greeted with a celebratory fruit cider, followed by a luxurious 2-course feast or opt for the buffet and selection of festive treats. Both parties are topped off with all-access pass to the most festive funfair you can imagine. From popular fairground attractions, to stall favourites, it’ll be a party to remember! You could even try to score a goal at the penalty shoot-out stall – when at St. James’ Park…. For a Christmas party with a twist, why not try the unique Discovery Museum? Situated in Blandford Square and one of Newcastle’s most popular visitor attractions, it offers a spectacular setting for your merry gathering. The impressive Great Hall has a capacity of 350 guests and is available for afternoon and evening hire. The quirky galleries within the museum are also available for private hire and is ideal for larger parties; equipped to take on 1,000 guests. Providing such a unique and unforgettable experience, it’s easy to see why more and more people are taking advantage of this original setting. Boasting one of the largest indoor arenas in Newcastle, this venue is very flexible with event sizes, which is perfect for meeting your demanding organisational Christmas party needs. For 2016 festive frolics, they are featuring notorious session group, ‘The Storm Band’; a collection of extremely talented, professional musicians and entertainers. 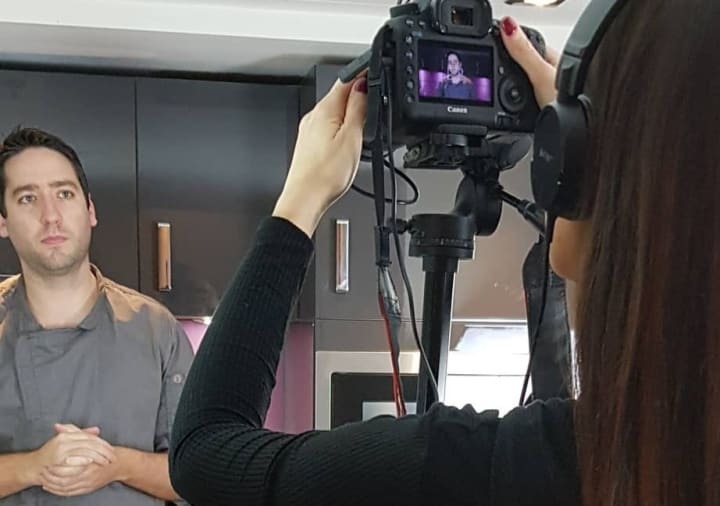 They will be sure to leave any guests enthralled by their stand-out performance. Based in Gosforth Park and with a host of experienced and dedicated staff, Brandling house is available for private hire throughout December, providing you have a party of 50 guests or more. Offering up festive fizz on arrival, a choice of Christmas menus, private bar, entertainment and all the trimmings, what better way to spend your festive bash than in such beautiful surroundings? Swapping horses for camels, Best Parties Ever are hosting ‘Moonlit in Marrakech’. Taking inspiration from the Moroccan souks, the racecourse will take on a very different theme. Starlit ceilings, colourful decor and spectacular acrobats all await for a real Christmas cracker! Since the days of Richard the Lionheart, it has been an established fact that Nottingham knows how to throw a party! It was not just to woo maids like Marian that gentlefolks used to venture into the inns and taverns of Nottingham; but also, like Friar Tuck himself, to indulge in the very best of food, wine and entertainment. Today’s inns and taverns offer rather more than straw beds and home-brewed mead. With every kind of accommodation available, Nottingham offers the very best in hotels and Christmas dining. All of the above have facilities for your work’s Christmas Party, your special family get-together or just for a few drinks with the ladies. Nottingham has more to offer though than the traditional works party. For something a little more memorable than Dave from Accounts’ twerking, immerse yourself in the full medieval experience and sink your teeth into a hog roast at The Sherriff’s medieval banquet. Or for the thrill-seekers among you, with a taste for the macabre, why not book in for a Murder Mystery at The Galleries of Justice! If you fancy an audience with the Court Jester, not many steps from the Castle you will find Glee, a comedy club offering the very best in comedy entertainment, and a Christmas menu. 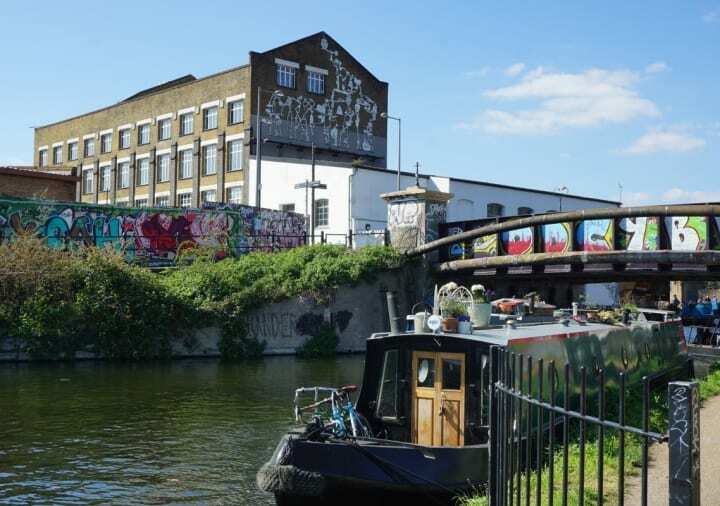 Situated in the Waterfront area by the canal, in the old British Waterways building, you’ll be roaring with laughter as comics and jesters alike amuse and enthrall you with their tall tales and hilarious anecdotes. For the ultimate in the Christmas Party experience, it has to be Best Parties Ever! Each year a large marquee arrives on the back of a lorry and is erected on Highfields, University Park. Located next to the tram stop, these events offer a themed event for your company. This years’ theme is Dream Circus; previous years have included Jungle, Las Vegas and a Russian theme to name but a few. This December, the Best Parties Ever will once again live up to their name with is an extravaganza which as stunning as it is immersive, with high-class entertainment, spectacular dance shows and a sparkling floor on which to dance the night away! Just try to resist the temptation to run away with the circus! Chester may not be the first name that springs to mind when planning the perfect romantic getaway, but the historic British city has a surprising variety of heart-warming opportunities, especially during the festive season. Whether beautiful romantic landscapes, warming festive meals, or a spot of retail therapy sounds like your perfect setting to spend Christmas and New Year, we have compiled just five of the city’s finest joyous activities. To begin your festive escape, why not soak in the Chester atmosphere with a stroll or boat ride down the River Dee, trip to Grosvenor Park or a visit to the tranquil Gardens of Distinctions. If walking is your preferred mode of transport, then a walk through Grosvenor Walk is a must. Situated close to the iconic Chester Cathedral, Grosvenor Park and its famous Roman Gardens provide visitors with crisp scenes to spend a frosty winter morning. To get away from the brisk winter breeze and cold, Chester’s Christmas market is made up of a number of bespoke rustic stalls offering arts, crafts, jewelry – as well as festive food and drink. Beginning on November 18th, and continuing its festivities for a month, the market thrives in the seasonal celebrations. Mulled wine, hot chocolate and local delicacies are all on the agenda to be served to keep shoppers merry whilst browsing. And if you’re interested in spending a little longer enjoying the festivities, the markets’ Real Ale Bar is due to be open until 9pm Thursday to Saturday. 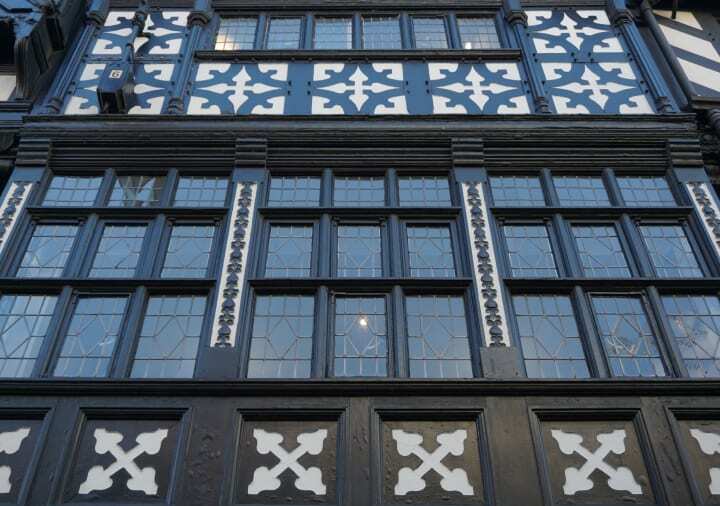 Chester is renowned for its historic Tudor architecture, and there is no better way to experience the scenery than by heading down the city’s The Rows promenade. Nestled in its central district, The Rows is home to many boutique retail stores – with most maintaining Chester’s historic aesthetic. Also the mainstay of some hidden gem hotels and restaurants, booking early to secure a hotel and romantic meal is essential. On the topic of restaurants, the city’s choice is vast. Lining the cozy streets of Chester, made even more aesthetic during the Christmas period, are an array of quirky cafes, traditional pub classics and fine dining cuisine spots. Manhattan-style steakhouses, authentic Italian escapes and luxurious Michelin star locations can be discovered just minutes from the Eastgate Clock Tower – making it an easy place to relax with delicious food and drink in a romantic ambiance. Although the designer outlet will be incredibly busy during the Christmas and New Year period, due to its slashing Boxing Day and new season sales, the boutique outlet park is difficulty to resist for retail therapy. Visiting prior to the end of December, guests are able to witness the largest walk-in artificial Christmas tree in Europe, as well as German-style food and drinks stalls offering gluhwein and crepes. Combining an irresistible shopping experience with a warming festive celebration, Cheshire Oaks will again mark Chester on the map as a romantic city-break destination later this year. We all know that a good day of Christmas shopping should involve real enjoyment for the shopper, as well as provide great shopping opportunities for tor those all-important Christmas gifts! 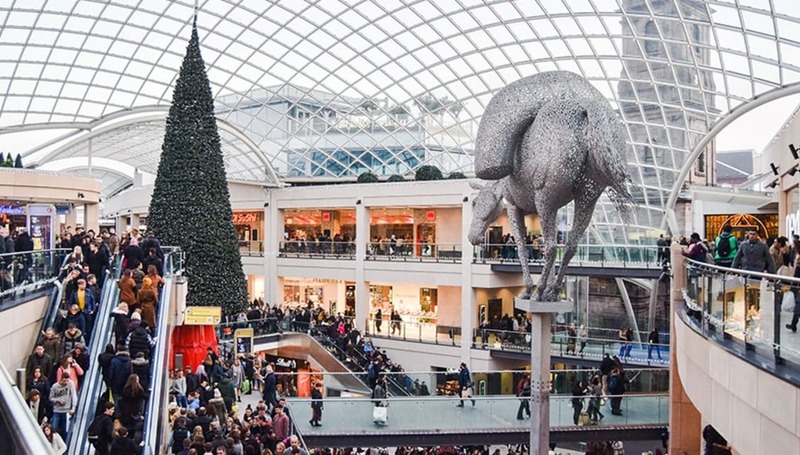 Leeds city centre is the ideal location for a Christmas shopping extravaganza, providing that perfect mix of festive pampering and getting down to (present-buying) business. With the proliferation of shopping centres all within easy walking distance from both Leeds’ train station and its main pedestrian street, Briggate, you can access hundreds of shops in just one day – that’s Christmas in the bag, then. Any Leeds-savvy shopper looking to get into the festive spirit will start off with a stroll up Briggate and through the Victoria Quarter. This beautiful old Victorian arcade is filled with seventy of the most high-profile designer shops in Leeds, from Paul Smith to Jo Malone to Vivienne Westwood to Charbonnel et Walker. It is also filled with fabulous sparkling Christmas decorations and provides events full of festive cheer throughout December, such as fund-raising charity choirs singing Christmas carols. The Victoria Quarter is also your easy way in to Leeds’ branch of the famous luxury department store Harvey Nichols, but make sure to check out their main Christmas window display on Briggate before you go in – these displays run into the thousands of pounds and are always quirky and eccentric! If it’s time for a mid-morning cup of coffee to buck you up after being blinded by all that the festive sparkle, head to Mrs Atha’s on quiet Central Road just behind Briggate, for excellent coffees, brunches and homemade cakes. Surely it’s time for lunch? If you fancy treating yourselves, head away from Briggate towards The Calls to find Brasserie 44, or alternatively head up to Harvey Nichols 4th floor restaurant where their Prix Fixe menu offers a great value 2 courses for £20 and three for £22. If you’re already wringing your hands at not having picked a single present yet, stick it out in the Victoria Quarter and pick up something healthy (alongside a coffee!) from Filmore & Union, or treat yourself in the arcade’s Harvey Nichols Café. For more purse-friendly options, Briggate is your next call – with high street shops ranging from Gap to River Island to Topshop to American Apparel, this is probably where you can pick up something for the teenager in your life. As rain stops play (which it’s so likely to do in our Winter months!) head inside to the Trinity Centre, a sprawling covered street/mall which provides shelter whilst you browse the great range of shops, from your normal high street brands (think H&M and Primark) to less common shops such as Victoria’s Secret, Hollister, Mamas and Papas and Superdry. Head for exciting new arcade/mall Victoria Gate (opening its doors for the first time on 20th October, and showering Leeds with new shopping experiences such as Anthropologie, John Lewis and Nespresso). Having finalised those last few purchases, either stay in the “robo-gothic” arcades of Victoria Gate with a rewarding cuppa or glass of wine to mark the end of your day, or head back over to the Trinity for a cocktail at The Alchemist, where you can enjoy sky-high views over the city (and a pioneering cocktail to match)!